This is not a new film, nor a new series, but I still remember the day - earlier this year, February or March - when I was watching Revolutionary Girl Utena (Adolescence of Utena - the film) and was thinking about ideas of 'the prince'. We know the type, through fairy tales; the prince saves princesses. The prince is noble. The prince is idealistic, a friend to all, and so on. But in the film for Revolutionary Girl Utena, Akio was dead; so was Touga. Both had a period of innocence and idealism that seemed to be crushed. 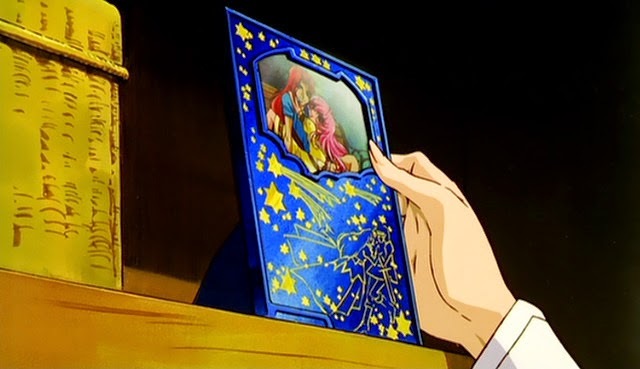 But why then, was Touga held as the prince, and that people - namely, Utena - was able to let his memory go? What about Utena? What about Anthy? This series meant so much to me, but it was hard to discuss it in words, just by myself. Obviously the film was dense, and carried its imagery literally, but aside from that, how could I express what I was thinking about it? And I remember: Crispin Freeman saw that I had been watching it, and remembered us talking about myth and archetypes before, and offered to talk to me the next evening. He had been the English dub voice of Kiryuu Touga, and still remembered the role fondly; and with a series like Revolutionary Girl Utena chock full of playing on archetype and fairy tale, witches and princesses, it was something that easily led itself to discussion. Thanks to him, my panels involving Revolutionary Girl Utena have also gotten better, more tightly organized and plotted; thanks to him, I was in the end better able to communicate what I wanted to say about the series, and why it was important to me. This movie was one of the first things I enjoyed discussing in general, before there were educational panels at conventions, and so discussing it has a special place in my heart. I also remember this year reconnecting with a friend of mine who used to cosplay from Revolutionary Girl Utena (as well as other series); it had been about ten years since I had last heard from him. And the friend - ten years ago or so - had helped me get through a really depressive patch in my life. Funnily enough, my friend also had cosplayed the character of Kiryuu Touga. In the film (as opposed to the series) Kiryuu Touga seems like a mysterious princely figure: perhaps he is a bit coy and teasing, but at the same time, tries to inspire the people he knows. But only a few people can recognize him: Himemiya Anthy can, Tenjou Utena can, and - apparently - so can Takatsuki Shiori, as well as Arisugawa Juri. All of these girls have apparently interacted with him in some way in the past, and seem to keep his memory of how he impacted their lives alive; some more so than others. But even if Touga is a prince, and rescues princesses, and does all these wonderful things - even if that is the case, he has his own secrets, and his own methods. And what of the girl who wants to become a prince, too? What of the idealistic people who want to have noble goals? What is to become of them? What can become of them? Do princes exist at all - and should they? You could also easily examine the gender roles and expectations that go into the framework of such a story. Can a young woman be a prince that saves princesses? What does it mean to be a prince? What does it mean to be a princess? Or a witch? 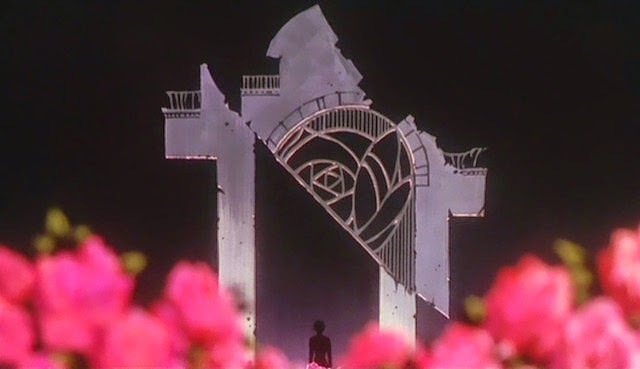 I revisit watching the film of Revolutionary Girl Utena every so often. I change, and so every so often I get something new out of watching it again. I watch it also when I'm going through bad times, just as I watch it when I have fond and happy memories. But sometimes, too, I watch this film and remember the people I've met and talked to because of it, or about it.